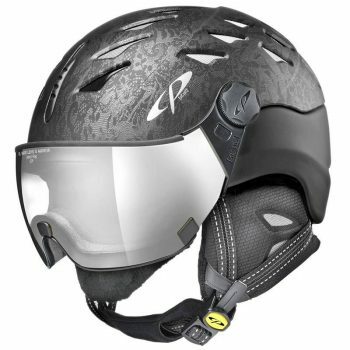 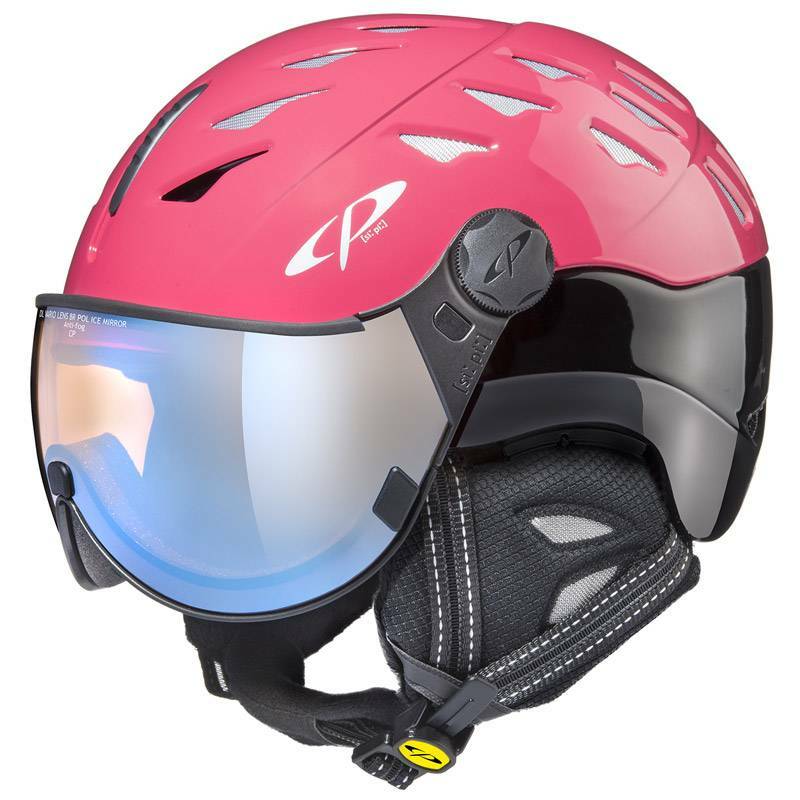 The CP Cuma like all CP women visor ski helmet is born from a meticulous design process that has resulted in the best ski helmets with visors in the world. 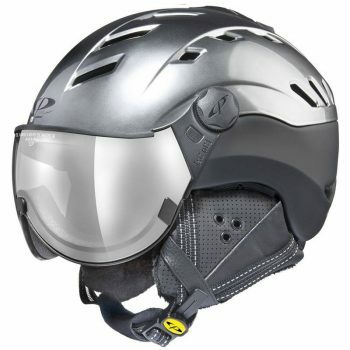 The helmet as a whole consists not only of its protective shell and a perfect visor and with the many small details that make the Cuma ALL IN ONE helmet that which it is – unique. 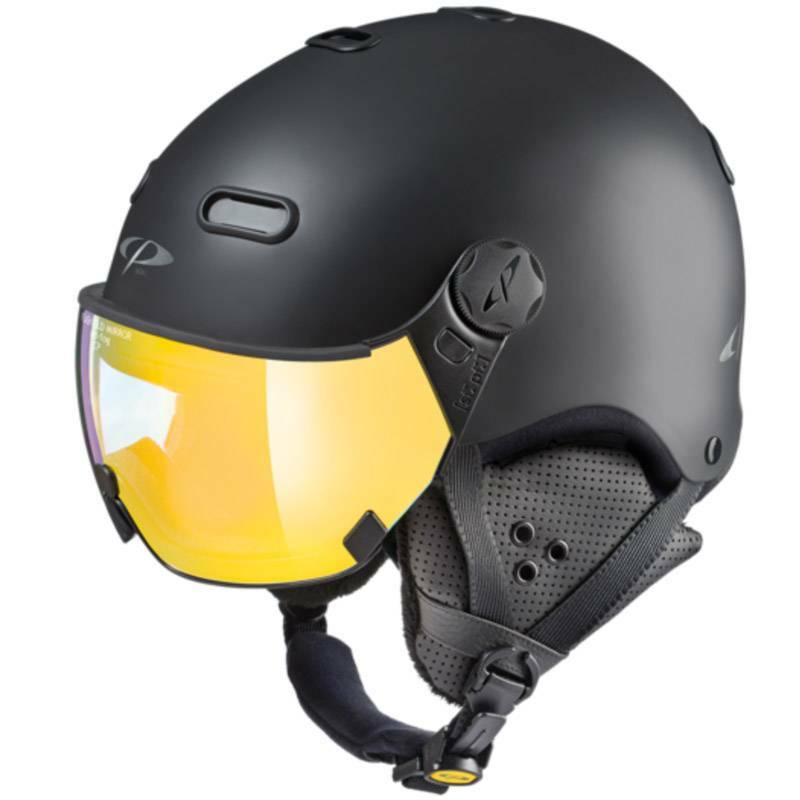 Digital technology supports the analog processes during development and production, resulting in a well crafted helmet with the perfect set of features. 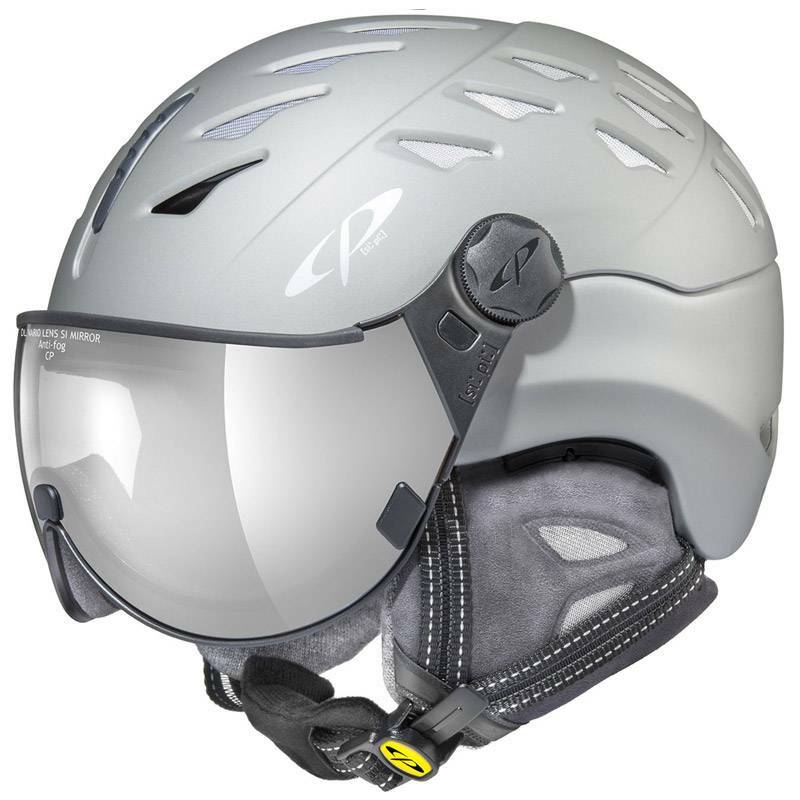 The visor is the heart of the CP VISOR helmet. 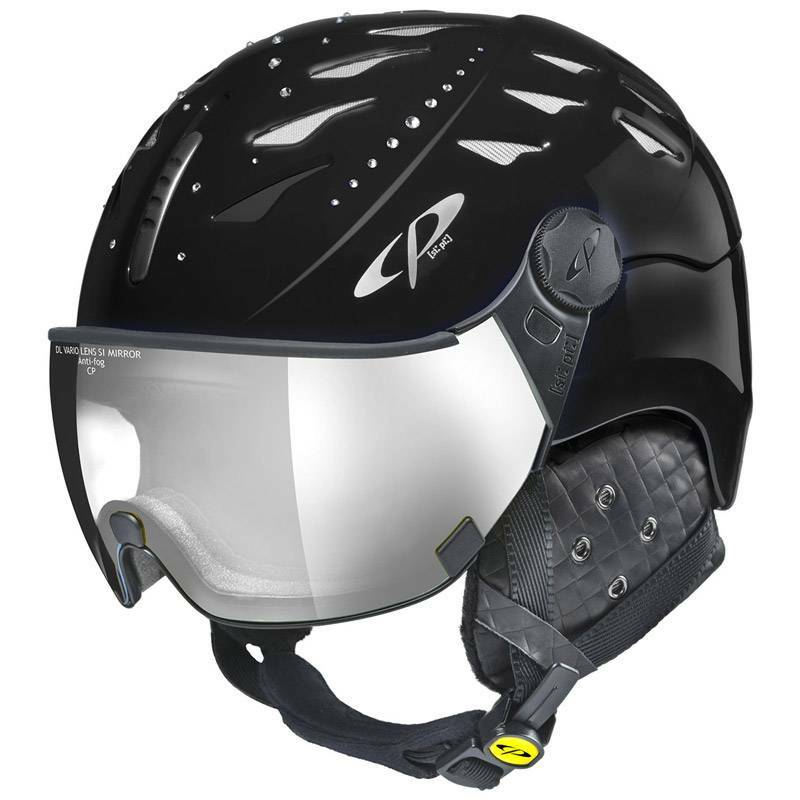 Its advantages over traditional ski goggles speak for themselves. 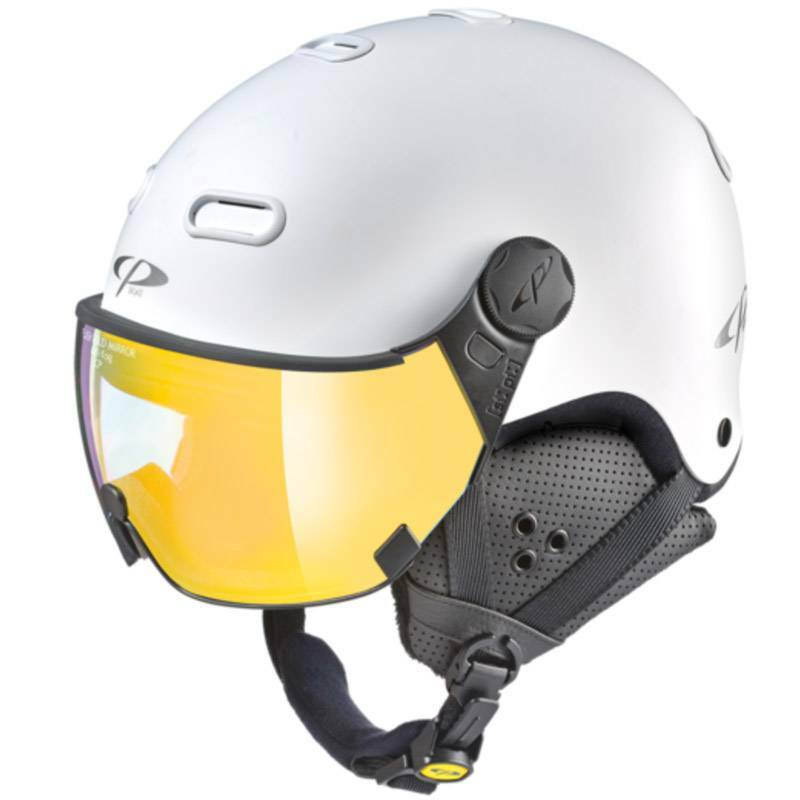 A significantly increased field of vision creates the necessary overview of the slope. 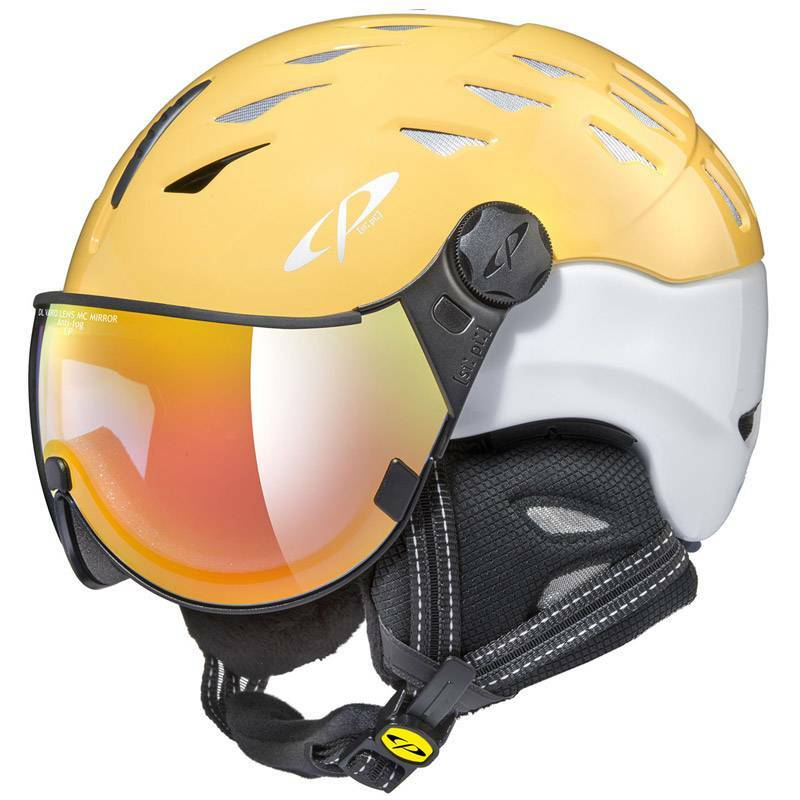 Polycarbonate creates optical clarity and better protection against injuries. 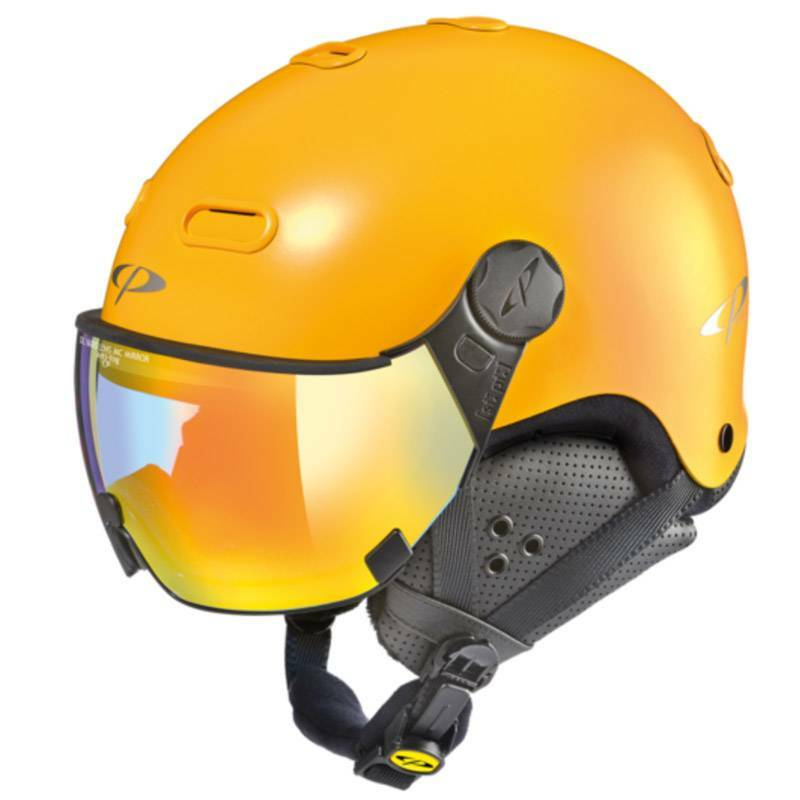 No annoying putting on and removal of the goggles. 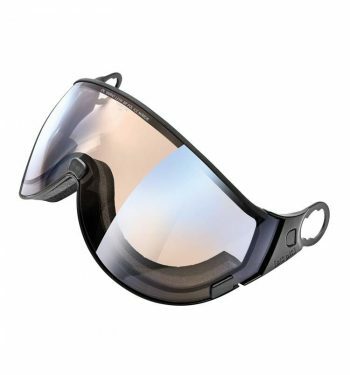 People with eyeglasses will wear their usual glasses underneath the visor. 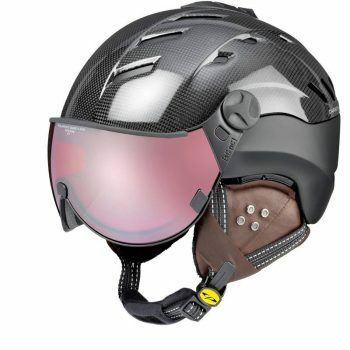 This Pink Cuma 382 for women Ski Helmet with attached visor comes with the DL (Double Lens) Vario Lens Multicolor Mirror but is also changeable with all the CP Visors. 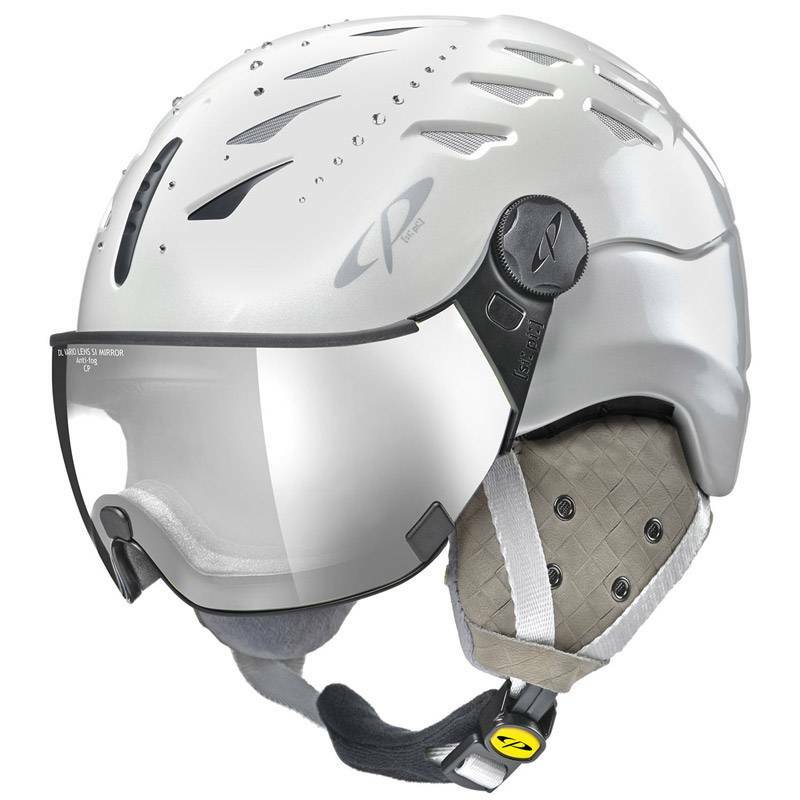 The brilliant adjustable climate system CLIMATE+, the breathable CP-TEX membrane and the SIZE ADAPTING SYSTEM enabling perfect head fit as well as the fluffy lining leave no desires out in the cold.